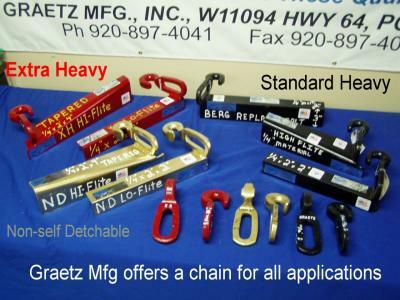 Made from U.S. steel exclusively formulated by Graetz MFG. Inc. Meticulously forged and heat-treated to create the optimum hardness for maximum strength and wear. Manufactured from a unique blend of U.S. steel. Available in two designs - 1/4" x 2" x 2" flite and 1/4" formed high tapered flite. Various lengths to fit your needs.